US comic actor Danny DeVito, the star of "Twins" and "Batman Returns", will receive a lifetime achievement award at the San Sebastian film festival in Spain next month, organisers said Monday. The 73-year-old will also attend the festival to promote his latest film, "Smallfoot", a 3D animated comedy adventure in which he provides the voice for a yeti. In a statement, San Sebastian festival organisers said DeVito has "led a versatile career" in theatre, film and television spanning almost five decades, in which he was worked with top directors such as Tim Burton and Francis Ford Coppola. DeVito will receive the festival's Donostia Award on September 22. Past recipients include Gregory Peck, Robert De Niro, Bette Davis, Susan Sarandon and Meryl Streep. The 66th edition of the San Sebastian festival, the oldest and most prestigious in the Spanish-speaking world, takes place from September 21 to 29 in the picturesque coastal city in northern Spain. 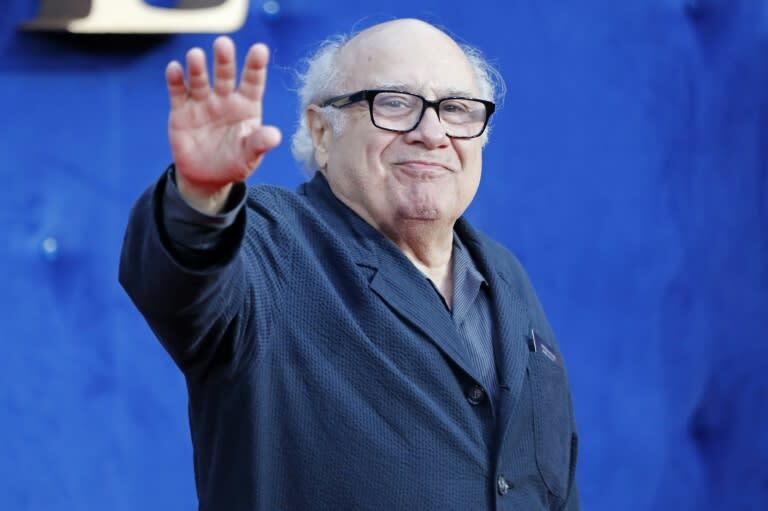 DeVito, who won an Emmy for his turn as the despotic dispatcher in "Taxi" in the late 1970s and early 1980s, currently stars in the hit television comedy "It’s Always Sunny in Philadelphia". His film credits include 1975's "One Flew Over the Cuckoo's Nest," 1988's "Twins", "Batman Returns" in 1992 and "LA Confidential" in 1997.